Lacey was born and raised in the Raleigh area. From a young age, she loved all animals and knew she wanted to work with them in some way. 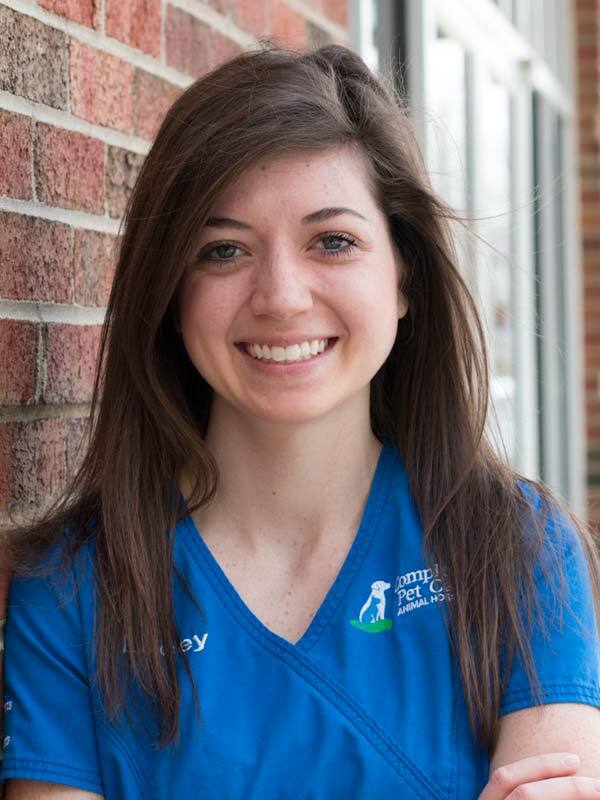 She began working at what is now Complete Pet Care part time in 2008, while she was in school at NC State. She graduated with a degree in Animal Science and continued as a full-time employee with Complete Pet Care. Lacey enjoys doing volunteer work with Carolina Tiger Rescue and the Duke Lemur Center. She also enjoys the rehabilitation side of things and the difference that love and care can make in an animal’s life. At home, Lacey has a cat, Coconut, and a dog, Savvy. She also loves traveling and experiencing other cultures, and she hopes to see as much of the world as she can.